Forget the players, Holly needs our support. If we show up in big numbers, we can show Fulmer that we back Holly. Lol! This must be a joke. 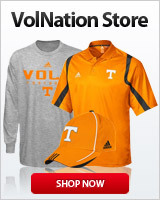 All true Vol fans want the LVs to win and we support them. But I can assure you that if butts aren't in the seats and its primarily due to show discontent with the coach; that will get the attention of the AD and Administration. As it should. Fans please stay out of every game untill Holly is fire. We love you players, but your coach got to go. Are you related to Holly? Likes: Tennesseefan2019, Rockyjr and T.J.
Nobody should be going to games seriously..Holly already drive them out NCAA tournament, I can tell u that now unless new coach takes over now and works miracle. Did you forget the blue font? are paid to do , if players have their head n game they don't know how many people came . The only voice we have in any of this is our $$$$ and attendance. If you want to keep Holly then buy tickets and show up. If you want Holly gone then stay at home and watch the boys play instead; they are actually being coached. Holly has had 7 years to fix the Lady Vols. Sometime you just have to cut your losses. Does anyone think the Lady Vols will get back to what we are use to? We're going to have another run...Count on it. I am pretty confident it will start this next game. Holly must be replaced with a coach who can teach, coach and recruit. Holly recruits only. No coaching or teaching. Those are not her skill set. It will be interesting to see what the attendance is at tomorrow's game against LSU........... I am guessing 5,500 to 6,000 as a rough estimate. Unfortunately, the lack or drop in attendance is the one thing fans can do to really affect change. We all love the Tennessee players but the fact is Holly can't coach.Why do some seem to support her in spite of the cold hard facts??? No one said she was a bad person and we all know she loves the program but the record speaks for itself.Be fair and base your opinion on just her coaching ability and see what you come up with. Why do we have to support when the product we get Doesent deserve a good review? Would you really be happy paying for a Ferrari and getting a Buick?